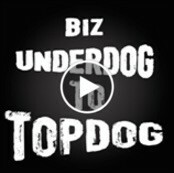 I recently had an awesome sit-down interview with the hosts of a small business radio show that helps new entrepreneurs rise to the next level. I chatted about my work as TV personality and talk show host, and also about my own small biz venture with MessengerBeauty.com, a natural cosmetics and skincare shop online. In the interview I share my tips on getting maximum visibility in the crowded media landscape. Click the photo to listen now. Competing on ABC's "Live! with Kelly" to replace Regis as cohost. Hmm it looks like your blog ate my first comment (it was super long) so I guess I'll just sum it up what I wrote and say, I'm thoroughly enjoying your blog. I as well am an aspiring blog blogger but I'm still new to everything. Do you have any recommendations for beginner blog writers? I'd certainly appreciate it. I like the valuable info you provide on your articles. I'll bookmark your weblog and take a look at once more here regularly. I am reasonably sure I will be informed lots of new stuff proper right here! Good luck for the following! An outstanding share! I've just forwarded this onto a coworker who was doing a little homework on this. And he actually ordered me lunch simply because I discovered it for him... lol. So let me reword this.... Thanks for the meal!! But yeah, thanx for spending the time to talk about this issue here on your internet site. I'll immediately clutch your rss feed as I can not find your e-mail subscription link or e-newsletter service. Do you have any? Kindly let me recognise so that I may just subscribe. Thanks. Your way of telling everything in this article is in fact fastidious, every one can without difficulty understand it, Thanks a lot. What i do not understood is in fact how you are not actually much more neatly-favored than you might be right now. You are so intelligent. You know therefore significantly in the case of this subject, made me for my part imagine it from a lot of varied angles. Its like women and men aren't interested unless it is something to do with Girl gaga! Your personal stuffs excellent. At all times care for it up! Great items from you, man. I have understand your stuff prior to and you are just extremely excellent. I really like what you have got here, certainly like what you are stating and the best way during which you say it. You make it entertaining and you continue to take care of to keep it smart. I cant wait to learn far more from you. This is actually a tremendous site. Right here is the perfect webpage for anybody who hopes to understand this topic. You know a whole lot its almost tough to argue with you (not that I personally will need to�HaHa). You definitely put a brand new spin on a topic that's been discussed for many years. Great stuff, just great! Hi, yes this article is genuinely pleasant and I have learned lot of things from it on the topic of blogging. thanks. First of all I want to say excellent blog! I had a quick question in which I'd like to ask if you don't mind. I was curious to find out how you center yourself and clear your mind prior to writing. I have had trouble clearing my mind in getting my ideas out there. I do take pleasure in writing however it just seems like the first 10 to 15 minutes are generally wasted simply just trying to figure out how to begin. Any recommendations or hints? Thanks! After looking at a few of the blog articles on your website, I truly appreciate your way of writing a blog. I added it to my bookmark website list and will be checking back soon. Please check out my web site too and let me know how you feel. Very good blog you have here but I was curious if you knew of any user discussion forums that cover the same topics talked about here? I'd really like to be a part of community where I can get advice from other knowledgeable people that share the same interest. If you have any suggestions, please let me know. Appreciate it! My brother recommended I might like this website. He was once entirely right. This put up actually made my day. You cann't consider simply how much time I had spent for this information! Thanks!